Good news everyone! 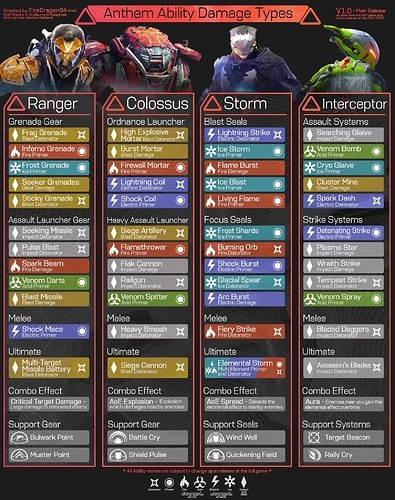 For the release version of Anthem there is a day one patch fixing the glowing orbs from being trollable and disappearing if the holder of the orb got DC’d. The Launch Bay social hub will have Forge access and will allow 16 players to hang out and show off their skins and paint schemes which will probably look like War Machine, Iron Man, or just be varying degrees of black and white. Anthems Alliance system encourages you to make friends and play with people on you friends list. 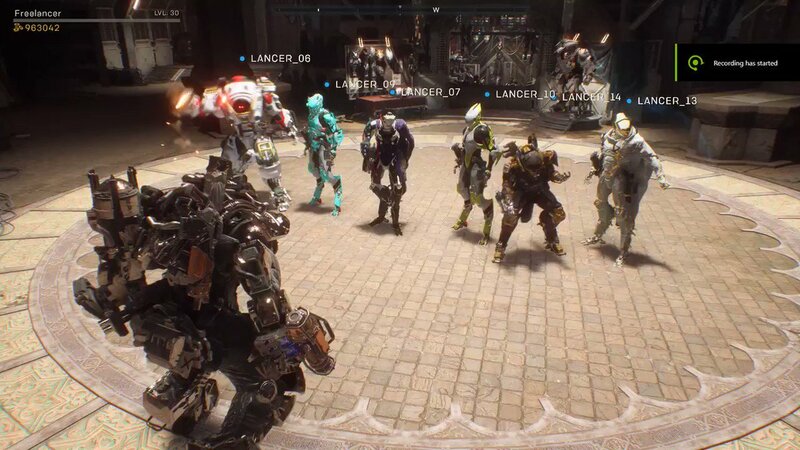 Anthem won’t release with a Guild system in place however it will be added later. 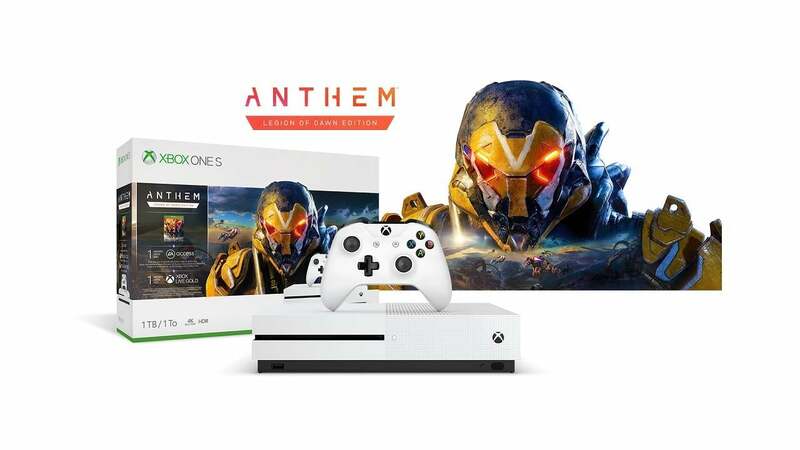 The latest Xbox One S bundle adds Anthem into the mix – specifically, the Legion of Dawn Edition. The 1TB console bundle also includes a month of EA Access, a month of Game Pass and a month of Gold. The bundle is listed as $299 USD, available at participating retailers. If you’re interested to see what’s in the Legion of Dawn edition, you can check out the content details below. As with most official bundles these days, the game is included as a download code rather than a physical disc. Anthem releases on February 22nd, 2019. We might still be a couple of weeks away from the release of EA and Bioware’s upcoming Anthem, but that hasn’t stopped the launch trailer from flying in to help build up the hype. Anthem is set to release on February 22nd, with post-launch support set to follow in March. Sounds like they will be giving us some coin to start off with. Alliance system will drop more coin as well. Added to the OP as well. A couple of days ago a teaser revealed that director Neill Blomkamp was working on a “live-action short” for BioWare’s upcoming Anthem. That’s turned out to be a little misleading… see for yourself below. Rather than a full short movie, this is simply a trailer for, in EA’s words, what an Anthem live action movie “could look like”. It doesn’t tell a story, but teases one for a movie that doesn’t actually exist. This has already confused Anthem and Blomkamp fans alike in the YouTube comments, with the former wondering if Conviction is a feature length movie coming soon, and the latter thinking that Anthem itself is a Blomkamp movie project. Still, it’s an impressive piece of technical work and once again it makes us hungry for the Blomkamp Halo movie that never made it to full production. Anthem releases on February 22nd 2019. 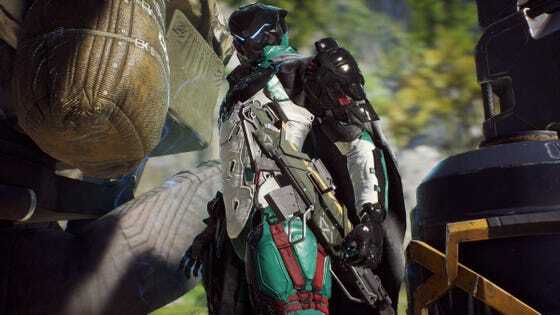 Anthem is now available for EA Access members (as well as Origin Access members on PC), but it seems that once again the game is plagued by server issues as it was during the VIP demo. EA Support have posted an update. This follows on from an assurance from BioWare’s Chad Robertson that despite circumstantial evidence from the VIP demo launch, the company has not under-planned server capacity for the game. While the problems currently being experienced by EA Access members may not be related to server capacity, it’s certainly another unfortunate PR step on Anthem 's path to success. Let’s hope the problems pass and so that we can all see the final product for ourselves. Anthem will release for everyone on February 22nd 2019. I got to level 10 in the EA Access ten hour trial. The game is running better than the demos did. None of the mobs despawned that I noticed. I didn’t have any server disconnects during missions or freeplay. I experienced a glitch with the settings. The settings never saved between play sessions so each time I loaded in I had to switch over to inverted and change the sound to headphones and adjust the brightness down to 47%. According to the developers that glitch is fixed with the day one patch. The Launch Bay is pretty cool. It has access to the Forge, the Vault, the Trials, the Vanity Store, you can interact with other players, and you can launch expeditions. All while wearing a javelin. It even has some rudimentary chat functions such as an LFG notification. I am excited for the full release. It drops for me this Thursday at 10 Mountain Time. I plan to be on. What's The Deal With Anthem's Bizarre Roadblock Tombs Quest? The Anthem Tombs quest is a wild departure from every mission that came before it, and you soon learn that it’s a laundry list of busywork that seems to arrive and stop the place of the story in its tracks. Loot Reveal and Expedition Summary now correctly play during the end of expedition screen. At the end of expedition screen players will no longer get stuck on “Recording Victories” or “Skipping All”. Beat me to it! Was just coming to post this. 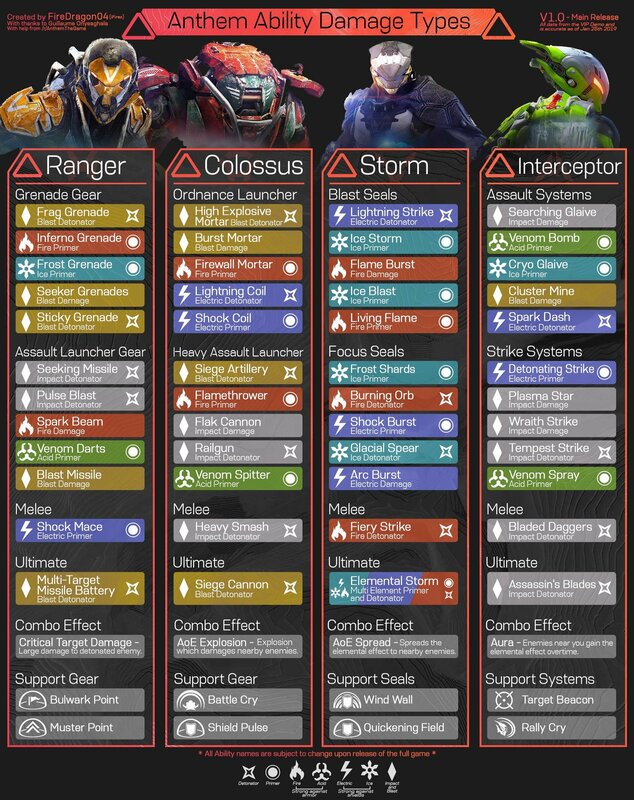 Some great changes it looks like. Glad Colossus can shield while reviving teammates. Thanks to your feedback we have identified several issues causing problems for players in the “Finding Old Friends” and “Tombs of the Legionnaires” missions. We have made some changes that allows progress to start being tracked earlier. This means that you’ll earn progress towards the challenges starting at level 3 now. If you gained access to one of the Legionnaires Tombs but there is no interaction on the Tomb, please restart freeplay and make your way back to the Tomb.If your journal is telling you that the challenges are complete but the Tomb door doesn’t open as it should, please go to the Challenges section of your journal and check that the challenge criteria is completed. In some cases we have seen the journal display misleading information at this step. Completing the challenges as they appear in the challenge section should allow access to the Tombs.